I’m on Whidbey Island this weekend with friends, getting ready to run my first 5K race tomorrow morning. The beach house we’re staying in is gorgeous (it has a turret!) but for me the best part is just being this close to the beach. 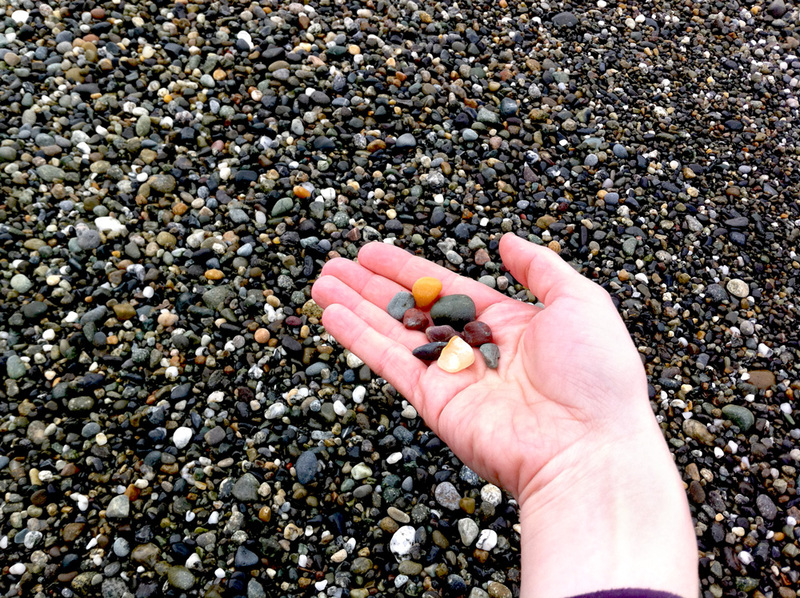 A lot of the beaches here in the Northwest are rocky, gravelly stretches, full of pretty rocks. 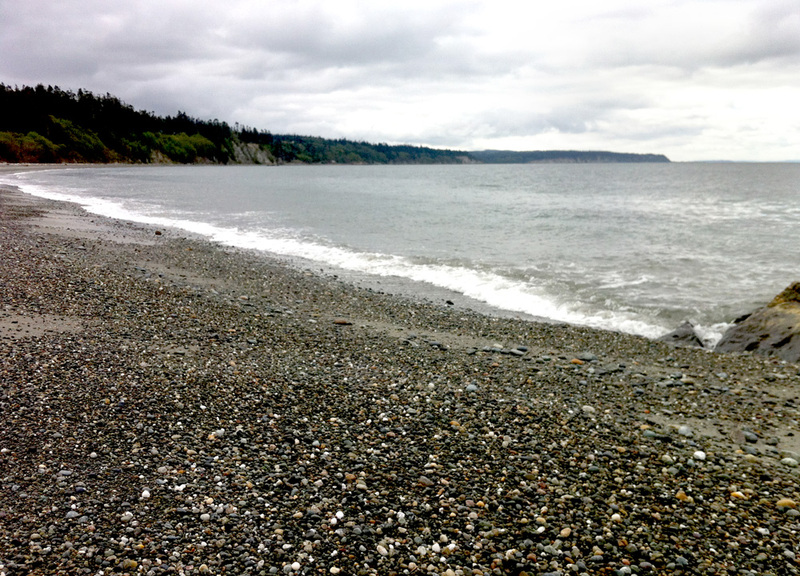 I spent part of my morning walking on the beach, collecting agates and jaspers, and listening to the ocean. I’m thinking about that video I watched last week about drilling stones. I’m soaking in this landscape.